Stock image of two bear cubs following a sow. Juneau, AK (KINY) - According to a press release from the Department of Public Safety, 41-year-old Andrew Renner and 18-year-old Owen Renner of Wasilla were indicted on felony and misdemeanor charges. 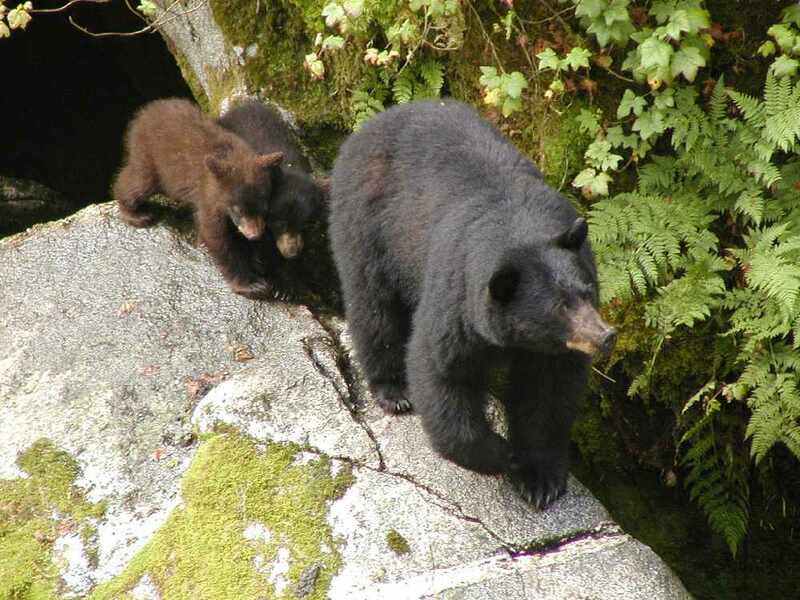 The men had shot and killed a sow black bear, as well as her two cubs while they were in their den on Esther Island in Prince William Sound this past April. Captain Rex Leath with the Department of Public Safety talked to us over the phone about this incident. He told us that there are considerable efforts being done to protect the bear population in that region. Those bears had been a part of a US Forest Service and Alaska Department of Fish & Game study. The sow bear had been collared and a motion tracking camera had been set up at the den. That camera caught the horrific acts on film, showing the men skiing to the den, Owen firing two shots at the sow, and Andrew killing the two cubs as they cried out. Andrew had then thrown the cub bodies away from the den. Two days later, the men return to the den to pick up their shells and dispose of the bear cubs. On April 30th, Andrew brought the sow bear skin and the collar to the Alaska Department of Fish & Game in Palmer, where he reported that he killed the bear near Granite Bay on April 14th. Andrew had also reported at this time that he had not seen that the sow was a mother, also claiming that there were no cubs to be found. Captain Leath says that acts like this poaching incident stand in antithesis to what it means to be a hunter as well as the resource management of the state. The vessel, vehicle used in the hunt, and hunting rifles were all seized ruing the investigation. Charges against these men include: Tampering with Physical Evidence, Unlawfully Take Female Bear with Cubs, Unlawfully Take Bear Cub x 2, Possess/Transport Illegally Taken Game x 3. A. Renner was additionally charged with Contributing to the Delinquency of a Minor and Unsworn Falsification in the Second Degree. The case number is AK18027153. Even though there was stark video evidence of the crime, Captain Leath tells us that the investigation was still extensive.